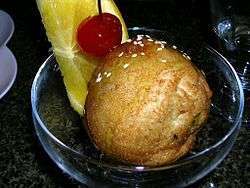 Fried ice cream is a dessert made from a breaded scoop of ice cream that is quickly deep-fried, creating a warm, crispy shell around the still-cold ice cream. 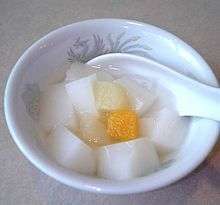 Ginger milk curd is a hot dessert that originated in Shawan town of Panyu District, Guangzhou in the Guangdong Province in southern China. 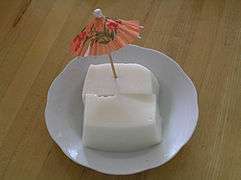 Its main ingredients are ginger, milk, and sugar. 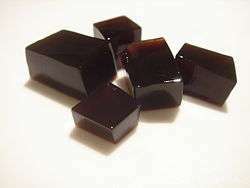 Grass jelly is a jelly-like dessert that is prepared with Mesona chinensis. 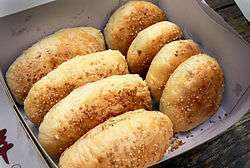 Shaobing or sesame cake originated from Huangqiao town in Taixing, Jiangsu. 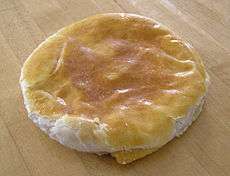 Mooncakes are traditionally eaten during the Mid-Autumn Festival. 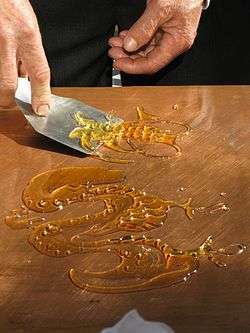 Sugar painting is a traditional Chinese form of folk art using hot, liquid sugar to create two-dimensional figures. 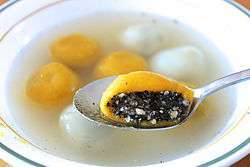 ↑ "Chinese Desserts." 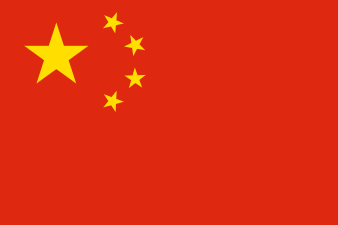 Kaleidoscope - Cultural China. Accessed June 2011. ↑ Coconut Bar. iFood TV. Accessed March 31, 2012. 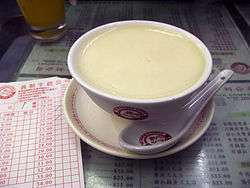 ↑ "Ginger Milk Pudding, a Natural Custard". 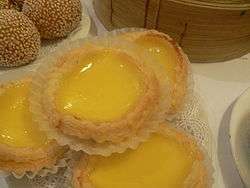 tastehongkong.com. 29 March 2011. Retrieved 13 August 2012. ↑ Andrew Dembina (26 August 2010). 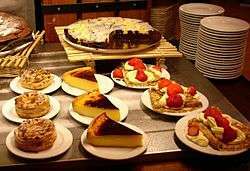 "8 bone-chilling summer desserts for Hong Kong". CNN Go. Retrieved 12 August 2012.